The Chimera Medium Video Pro Plus 1 Softbox 36 x 48" (90 x 120 cm) is designed for use with a hotlight but may be used with flash as well. With fabric intended for the heat of a continuous light, the Medium Video Pro Plus 1 with silver interior is ideal for work in small spaces when medium softening of the light is desired. The 36 x 48 inch size is portable, lightweight, and can be taken on location. 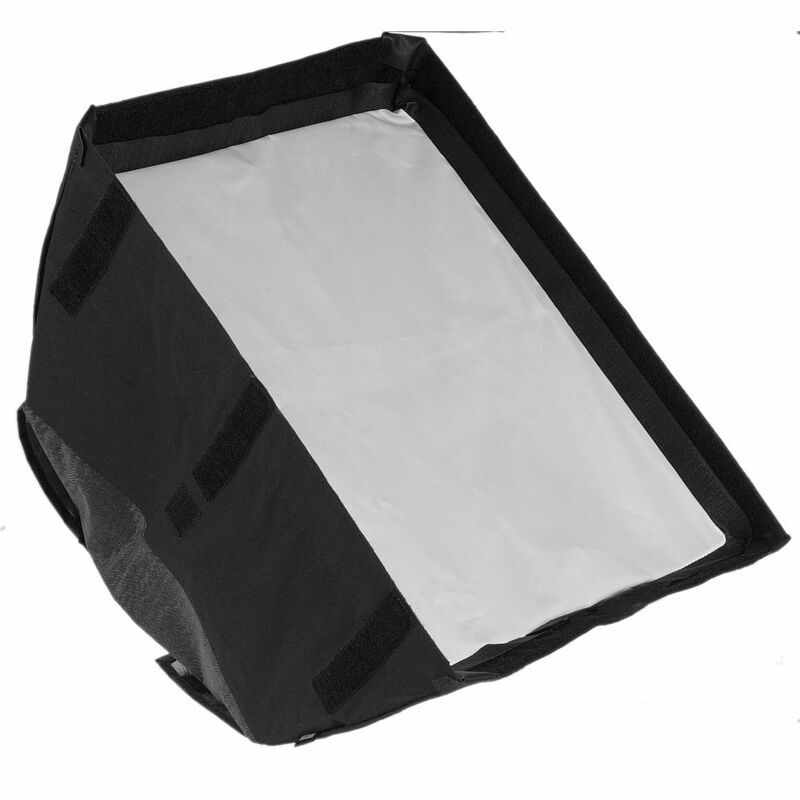 The "Plus 1" designation of this softbox means the front face of the softbox is removable. Chimera makes different strengths of diffusion material for front face applications. This softbox comes with a one stop diffuser, hence the "1" designation. Optional 1/2 and 1/4 grid cloths allow for more light transmission and also, less softening of the light. The Medium size is suitable for 3/4-length portraits or interviews. Recessed Front Face helps control light spill and facilitates the attachment of an optional fabric grid. Required Speed (mounting) Rings are available separately for many manufacturers' light heads. Box Dimensions (LxWxH) 38.0 x 4.6 x 4.2"
Medium Video Pro Plus 1 Softbox 36x48" (90 x 120cm) is rated 5.0 out of 5 by 4. Rated 5 out of 5 by Richard N. from beautiful Softlight I already owned a few speed rings and video small soft boxes - I've usually rented larger sources. Time came to buy and GREAT that this is still light enough to work with my existing speed rings for old Omni and Tota Light fixtures. Quality of light for an interview is huge improvement over 2x3 size. Gorgeous wraparound makes for such soft shadows. Larger to carry around but worth it. Rated 5 out of 5 by Danielson from Perfect softbox I use it together with my profoto lamphead. The light is very soft with a nice fading. The softbox is very light and easy to use. I rent it in Hong Kong and I just loved it. I bought two of them and I'm very happy. Rated 5 out of 5 by One-man band from make an inexpensive light look great The Chimera Medium Soft Box does exactly what I hoped. It makes my inexpensive Lowell Omni light look great. Couldn't be happier.